Also called Hopi Groie. 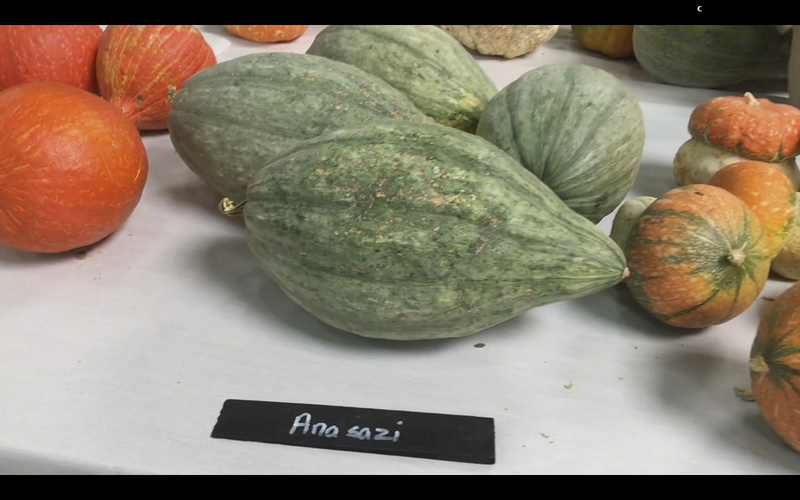 Ancient Southwestern squash variety believed to have been grown in Anasazi times. Original seed was reputedly discovered in a cave in the Four Corners region, just inside the Utah border. The seeds were found sealed in pottery jars by industrialist George Hoddy in the 1960s. Planting the seeds in his Michigan garden, Hoddy was amazed that they grew. This land-race squash variety is orange-fleshed. The fruits run a wide range of shapes from large banana fruits through slightly flattened spheres, and occasional squat tear-drops. Colors include sea-foam green and salmon. Flesh is somewhat fibrous but is of excellent flavor. 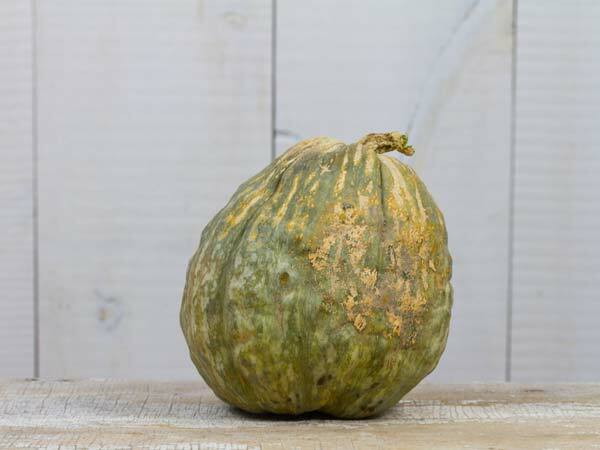 Our grower says to use it as you would a hubbard squash. A positively stunning piece of American prehistory.